Faster turnaround and easy resolution on RFIs. Assurance that the team is using the most up-to-date plans is a huge benefit. It is much easier to keep plans updated, posting RFIs, issues and redlines than the old-fashioned way with paper. 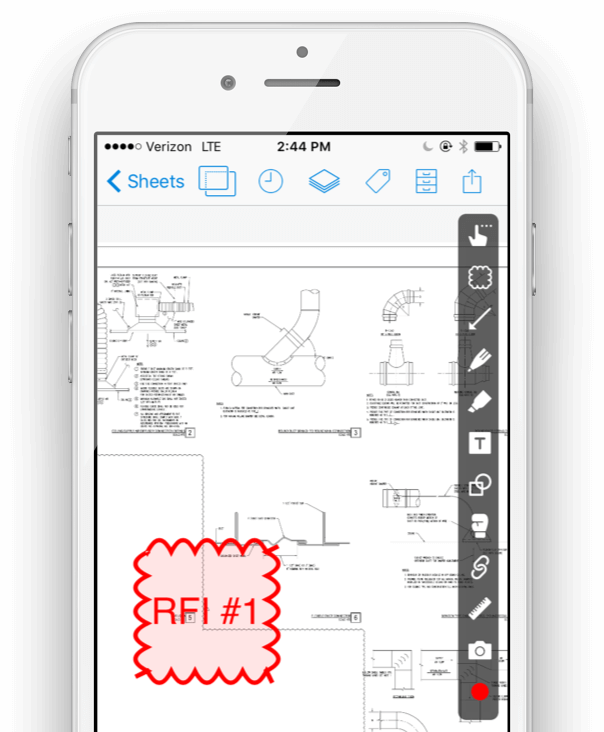 Create RFIs where they occur, right in the field with our mobile app. Include supporting details to your RFIs with photos or attachments. Track all exchanges, approvals and conversation history in one place. Post answered RFIs as hyperlinks on relevant sheets, then publish to the master set. All of your teammates will be able to view them as soon as they refresh their project. 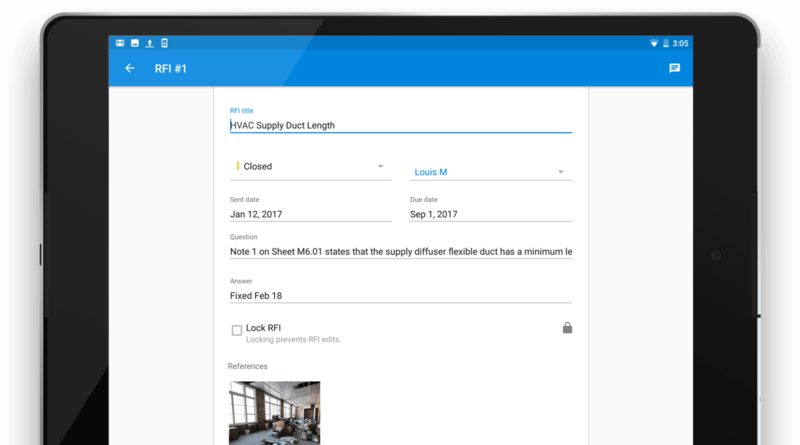 Save, print, or email the RFI to the architect or teammate—right from PlanGrid—so they can respond from anywhere, without needing to log in.